← Congressional Testimony: ‘Smart’ meters have a life of 5 to 7 years. On October 21, 2015, Gregory C. Wilshusen, U. S. Government Accountability Office (GAO), Director for Information Security Issues, presented Congressional testimony to the Subcommittees on Energy and Research and Technology, Committee on Science, Space, and Technology, House of Representatives. Based upon the GAO Congressional testimony, it is known that cybersecurity threats are evolving with regard to the electricity grid and that the continued move toward networked ‘smart’ systems further causes the threats to grow. There are voluntary cyber security standards which theoretically establish a baseline level of protection, but no one is monitoring compliance with these standards. It is not hard to predict that this story is not going to end well. “The ‘smart’ thermostat that automatically lowers the temperature in a customer’s home at night or warms his kitchen before he gets up in the morning has to be connected to the company’s billing department, which in turn needs to be connected to whatever department actually conveys electricity to the home. Each connection provides another potential attack surface. In theory, the administrative network is ‘air-gapped’ from the operational side of each power company, meaning that there is no physical connection between the two. Power companies insist that those two networks are absolutely separate and not connected. Whenever Homeland Security or the Federal Energy Regulatory Commission has hired computer forensic experts to investigate this claim, however, they have found minute connections. A Verizon/ Secret Service study concluded that two-thirds of companies across a spectrum of industries didn’t realize they had been breached until someone outside the company informed them. Another study, conducted by the cybersecurity firm FireEye, found that it took on average 279 days before companies that had been breached came to realize it or were told by someone else. “The O’Reilly Factor” FOX News Network program, Ted Koppel interview which aired October 27, 2015. Copyright Notice © SkyVision Solutions and Smart Grid Awareness, 2013 – 2015. Unauthorized use and/or duplication of original material from this site without express and written permission from this site’s author and/or owner is strictly prohibited. Excerpts and links may be used, provided that full and clear credit is given to SkyVision Solutions and Smart Grid Awareness with appropriate and specific direction to the original content. 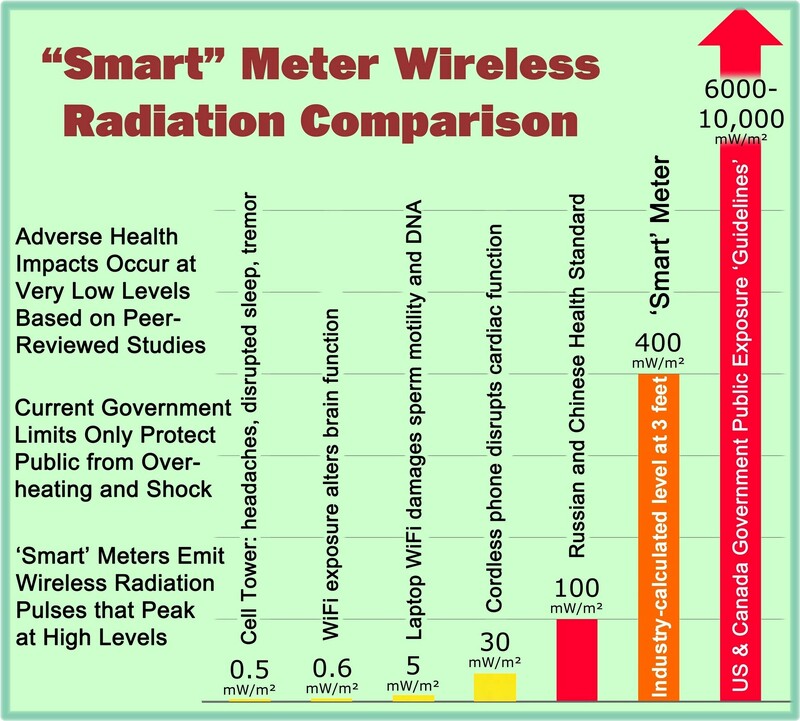 This entry was posted in Smart Grid, Smart Meters, and RF Emissions and tagged Cyber Threat, GAO, Lights Out, Smart Grid, Smart Meters, Ted Koppel. Bookmark the permalink. Alvin Toffler was a man ahead of his time with his book, “Future Shock”. And, guess what? Future Shock is now here.